I got my first period when I was 12 and was perpetually embarrassed by periods for the next ten years. Ten whole years of negative feeling towards my body just doing its thing, like they do. 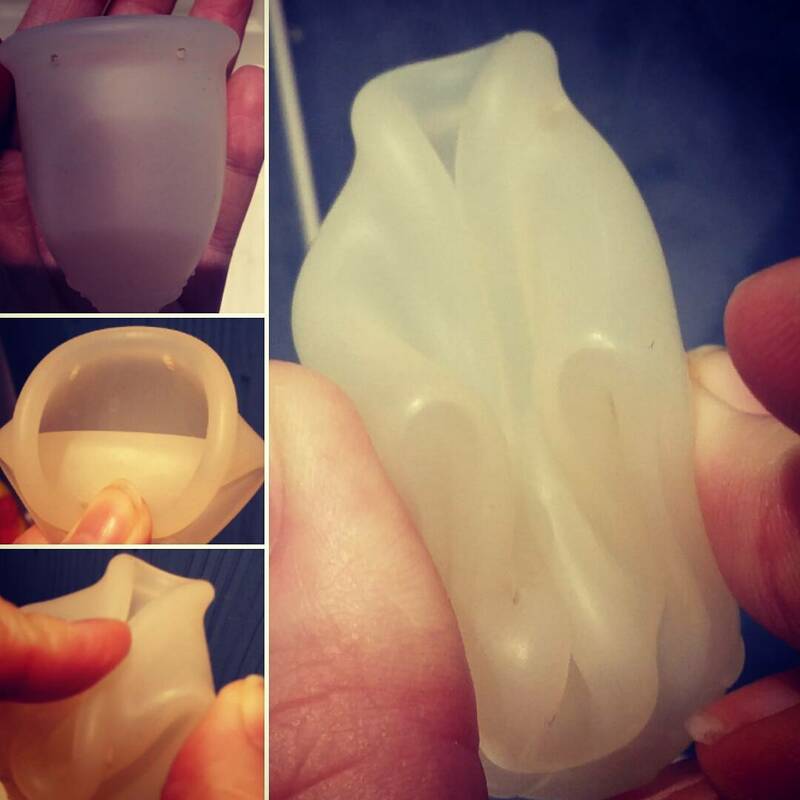 The idea of a menstrual cup came up when I was around the same age, maybe 13 or so. The brand that was mentioned was a Mooncup – and I kid you not, until I was 22 years old I thought they were exclusively for menstruating astronauts because you can’t change used tampons or pads in space. I also thought they were a medical device that was left in there for the duration of the period because… well… Space. Needless to say, I was VERY wrong. Now I wish I had spent more than 3 seconds thinking this over as a teenager and actually done some research. After deciding to use cloth nappies, a fairly natural progression from there is the use of cloth sanitary pads and other reusable menstrual products. I had seen other cloth nappy users mention “CSP” and “RUMPs” and one night, pinned under my barely-sleeping infant, I delved into the internet. I discovered Precious Stars Pads on YouTube and saw this young woman – much younger than me – with such a level head on her shoulders. There she was, 15, 16, 17 years old merrily talking about her periods on the internet for everyone to see. After a bit of a binge watch I mostly felt silly for ever being embarrassed about my periods. I felt inspired to make my own cloth pads and I knew when my periods came back from their post-baby hiatus I would be investing in a menstrual cup. Then the day came. First period back after having a baby. It was a flood, as if the gates of hell had opened or something equally horrific. I was bleeding through a ‘super’ tampon and a pad in an hour several times a day for several days before it calmed down. I ran out of clean trousers and ended up housebound for the rest of the week. My periods were always on the heavy side but this was next level. I ordered a Fleur Cup multi pack (1x small and 1x large) and the next month I took on the world. I used the small at first because I was a little intimidated but it was a little uncomfortable. The large, on the other hand, is very possibly perfect for me*. It holds around 2.5x the amount of fluid as a ‘super’ tampon so even on the heaviest days I was getting a good couple of hours between changes. 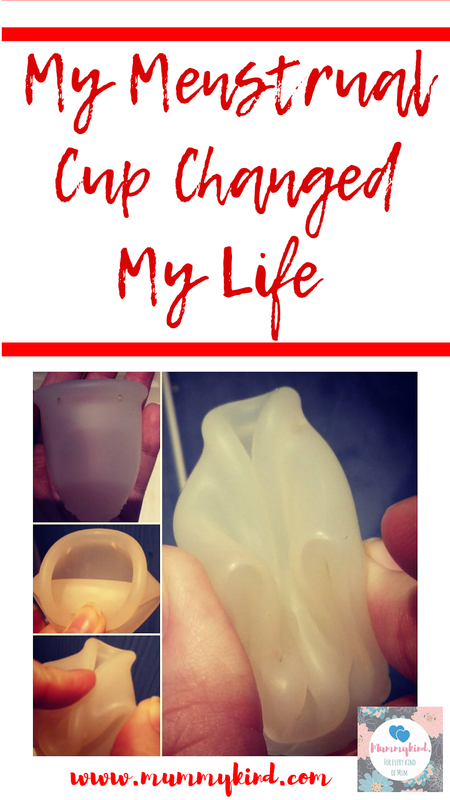 What a gained from using the cup was mostly my freedom, I wasn’t housebound on my heavier days and I was able to sleep comfortably at night without an itchy plastic pad bothering me (and not even catching the blood like it’s supposed to). I am not producing as much plastic waste and, financially, I have already started saving money. The cups were £16 for the pair and I have been using one for almost 2 years, in which time I would have spent £75 or more on disposable sanitary products. It has given me a confidence in talking about my body. I have literally sat in the pub and spoken to a group of men about my periods and shown them the cloth pads that were in my bag without even a single second of shame. It has alerted me to the cost of periods and the extent of period poverty, I hadn’t even realised some of the things that women and young girls go through when they are menstruating. It has stopped me from dreading my periods. I wouldn’t go so far as to say I look forward to bleeding heavily for a week at a time but I don’t fear it anymore. I don’t cry when it comes anymore. I just pop my cup in and go about my business. People have called me dramatic for saying it changed my life but when you think that (usually) a quarter of your life from around 13 to 45 years old is spent menstruating it doesn’t seem all that dramatic after all. Great post, I love my cup and I recommend it to everyone!. Its so funny you thought they were for astronauts!!. I still can't believe I didn't even question that for 10 years, in my head it was just fact. Previous Post Mental Health Monday: Struggling With Depression or Anxiety?